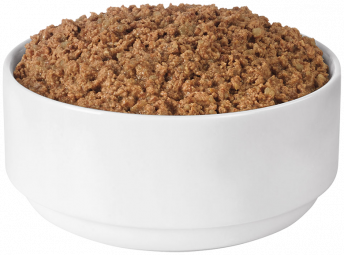 Our flavorful, nutrient-rich wet entrees are sure to delight and come in a variety of flavors to meet your dog’s unique taste preferences. Entrees in this variety pack feature real beef or chicken as the #1 ingredient. They also contain optimal protein and fat levels to help promote an ideal body condition. 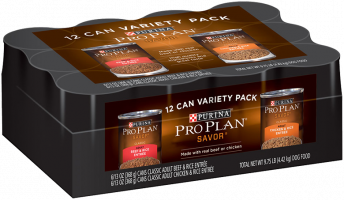 Entrees include 100% complete and balanced nutrition for adult dogs. 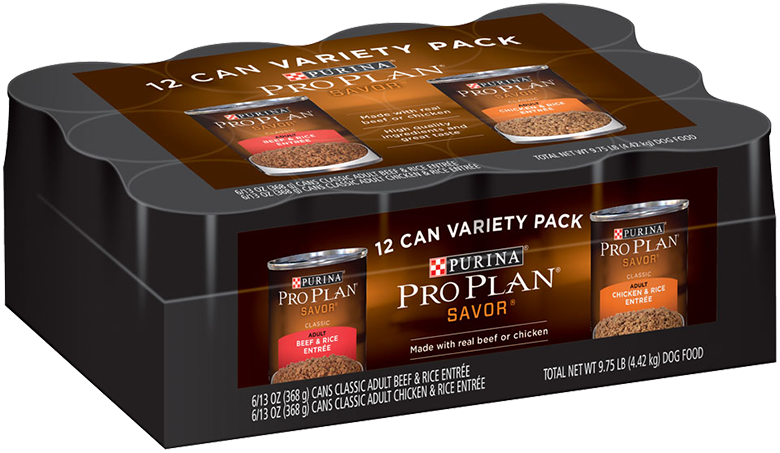 Variety pack includes 6 cans Savor Adult Beef & Rice Entrée Classic and 6 cans Savor Adult Chicken & Rice Entrée Classic. Savor Adult Beef & Rice Entrée Classic: Beef, Water Sufficient For Processing, Liver, Meat By-Products, Chicken, Rice, Guar Gum, Potassium Chloride, Added Color, Salt, Carrageenan, Calcium Carbonate, Vitamin E Supplement, Zinc Sulfate, Ferrous Sulfate, Choline Chloride, Niacin, Thiamine Mononitrate, Copper Sulfate, Calcium Pantothenate, Manganese Sulfate, Pyridoxine Hydrochloride, Vitamin B-12 Supplement, Riboflavin Supplement, Vitamin A Supplement, Folic Acid, Potassium Iodide, Vitamin D-3 Supplement, Biotin, Sodium Selenite. D-4432. Savor Adult Chicken & Rice Entrée Classic: Chicken, Water Sufficient For Processing, Liver, Meat By-Products, Rice, Guar Gum, Potassium Chloride, Salt, Carrageenan, Added Color, Calcium Carbonate, Vitamin E Supplement, Zinc Sulfate, Ferrous Sulfate, Choline Chloride, Niacin, Thiamine Mononitrate, Copper Sulfate, Calcium Pantothenate, Manganese Sulfate, Pyridoxine Hydrochloride, Vitamin B-12 Supplement, Riboflavin Supplement, Vitamin A Supplement, Folic Acid, Vitamin D-3 Supplement, Biotin, Potassium Iodide, Sodium Selenite. D-4433. 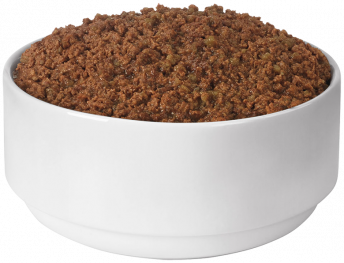 Pro Plan Savor Adult Beef & Rice Entree Classic is formulated to meet the nutritional levels established by the AAFCO Dog Food Nutrient Profiles for maintenance of adult dogs.